With nurse burnout at an all-time high, continued shortages, and aging population, the demand for seasoned nurses has increased. According to a recent Health Affairs study, “nearly 4 million millennials will enter the nursing profession between now and 2030” 1. Nurse leaders are concerned that this will create a workforce with potentially too many inexperienced caregivers. Add to that, the complication of seasoned nurses being recruited away from hospitals to outpatient settings with the promise of better schedules and less stress1. The combination of new, inexperienced nurses and a reduction in experienced staff can lead to a negative impact in overall patient safety, experience, and clinical outcomes. Today it takes more than a competitive salary to attract and recruit experienced nurses. Organizations have to get creative, offering shorter shifts with higher wages and/or flexible hours based on experience1. Once on your staff, it’s important to make sure they are happy and stay happy to retain them. It’s crucial to have continual checkpoints and solid communication with staff to help retain them. A popular way to do this is with Leadership Rounding. 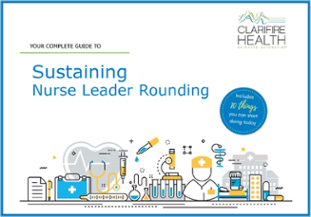 Leadership Rounding is a tool that helps organizations get feedback on performance barriers and perceptions, uncovering opportunities to better support and engage nursing staff. Rounding, using easy to use technology, makes their job faster, efficient and frees up time to do what they do best. It’s also a great way for nurse leaders to find out who is providing great service to their patients and reward them appropriately. Nurses are the primary caregivers for patients in healthcare environments. So it’s no surprise that nurses have the most impact on the patient’s quality of care and safety. Ensuring your staff provides the best patient quality of care possible can be stressful for nurse leaders. Especially when quality and safety can have a direct correlation to the patient experience, HCAHPS scores, reimbursements, and the list goes on and on. With less experienced nurses and an aging population, it’s important to provide your team with standardized processes and guidelines to follow. You can tackle this challenge by performing regular quality and safety audits. Auditing software allows you to quickly and easily create, execute, and analyze audits within your organization. The results help you identify quality and safety concerns that need attention. You can take this a step further with negative incident triggers, real-time alerts, organizational hierarchy, and escalations to implement a strategy for quality and safety. With value based care continuing to be a focal point for the healthcare industry, staying on top of clinical outcomes, patient experience and other measures are crucial to reimbursement. Adapting to value based care is only part of it. 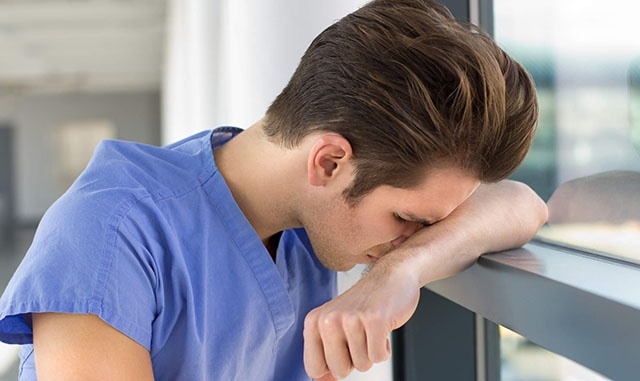 Nurse leaders have the added stress of keeping pace with regulatory changes and requirements, as well as communicating the information out to staff. With an ever-increasing number of new regulations and requirements that providers must understand and implement, providing quality care while maximizing reimbursement is necessary for financial success2. Keeping up with the reform changes can be tricky, but it’s not impossible given the right tools. Workflow technology supports your processes, guides staff with standardized practices, and provides visibility to actionable data that will help your organization coordinate care and reduce costs. Paper processes are eliminated, issue escalation is automated, and solid reporting is available with just a few quick clicks. It’s time for nurse leaders to get some much needed rest and we are here to help with our CLARIFIRE HEALTH® mobile application. 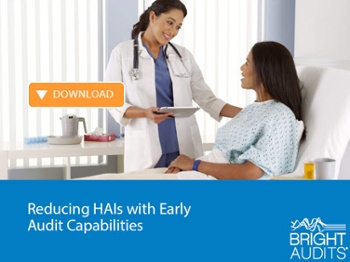 CLARIFIRE HEALTH provides healthcare systems with ‘one-stop shopping’ for the automation of rounding, audits, and workflows that complement clinical pathways. Let us help you tackle the challenges that keep you up and night and put you on the path to a great night’s sleep!